Locality Public Reception: August 4, 5-7PM, at Artspace 304. 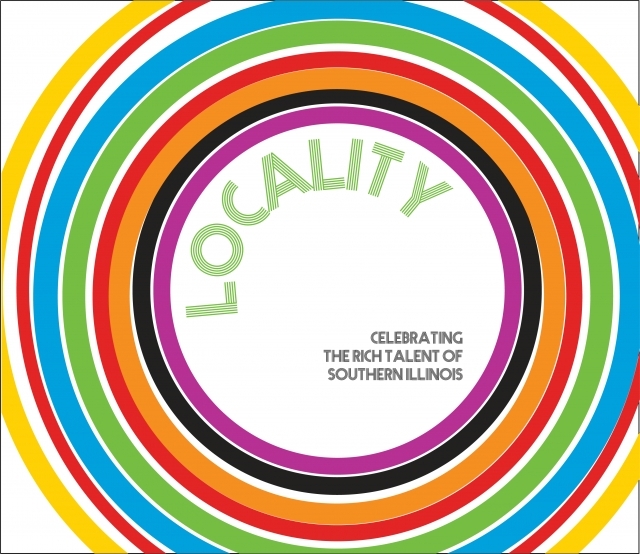 In celebration of the rich talent of Southern Illinois, Carbondale Community Arts presents southern Illinois artists and craftspeople in the exhibition LOCALITY. On view from July 5 - September 1 at Artspace 304, this salon-style exhibition highlights our region’s artists and craftspeople of all ages, illustrating the diversity of style, technique, media, and concept. This exhibition creates an opportunity to experience southern Illinois visual arts in totality. Public Reception: August 4, 5-7PM, at Artspace 304. Join me for the annual Holiday Craft Sale on the first floor of the Student Center. There are 75 vendors and lots of good holiday shopping to be had! I have lots of new holiday goodies including 2 new tea towel designs, coloring calendars, bird calendars, holiday cards and brand new fabric hoop ornaments! Get a glimpse of the new goodies by clicking HERE. Thursday, December 1, • 10 a.m. – 5 p.m.
Friday, December 2, • 10 a.m. – 5 p.m.
Saturday, December 3, • 9 a.m. – 4 p.m.
Join me for the annual Holiday Craft Sale on the first floor of the Student Center. There are 75 vendors and lots of good holiday shopping to be had! I will have a large selection of art prints, greeting cards, 2016 calendar, fabric hoop prints, pillows, and my COLORING BOOK! Thursday, December 3, • 10 a.m. – 5 p.m.
Friday, December 4, • 10 a.m. – 5 p.m.
Saturday, December 5, • 9:30 a.m. – 4 p.m.
Find a collection of my original work, embroidery hoop prints, pillows and cards at Bricolage. In the heart of downtown Paducah, Kentucky, Bricolage curates and sells a lovely selection of high-end work from local artists in a beautiful space. Though Bricolage has been open for some time now, they are having their official grand opening on Saturday. A collection of my my current mixed-media works are on display at the Carbondale Public Library. All pieces are for sale and a portion of the proceeds go to the Library.